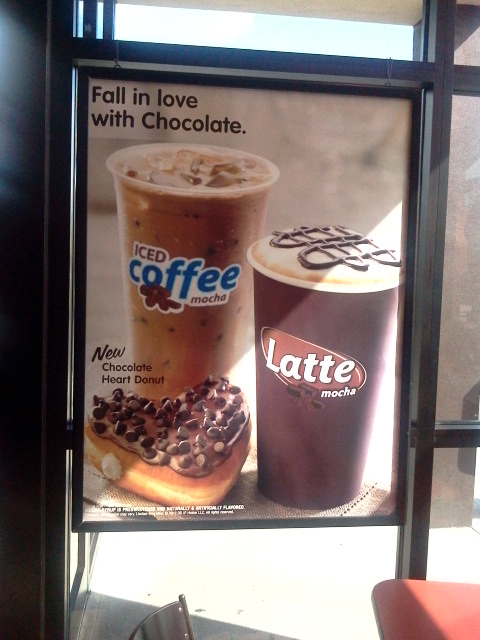 Feb 2012 – The big poster for the heart shaped donut, with chocolate chips. Ah, a chocolate heart donut for Valentine’s day. Add a coffee and have a happy Valentine’s day.